Japan’s tallest building will open Friday in Osaka, as Asia’s third-biggest metropolitan economy aims to lure tourists and stem businesses from moving to Tokyo. Kintetsu Corp., one of the main railways in western Japan, spent ¥130 billion and four years constructing the 300-meter (984.25ft) Abeno Harukas skyscraper, according to the Osaka-based company. It will surpass the 296-meter (971.12) Landmark Tower in Yokohama. The new 60-floor complex, which includes a Marriott International Inc. hotel, and a separate proposal for a ¥500 billion casino resort are the latest attempts to bolster the city’s economy. Rather than tall towers, the metropolitan area of 11 million people may need business zones with fewer regulations, according to Rakuten Securities Economic Research Institute. Japan wants to spur growth by easing restrictions in test zones under economic reforms pushed by Prime Minister Shinzo Abe. The government is considering measures from cutting corporate taxes to loosening building restrictions in the zones. Osaka, which used to be the country’s economic center, is the birthplace of Japan’s biggest brokerage, Nomura Holdings Inc., and Nippon Life Insurance Co., the largest nongovernment life insurer. The 634-meter Tokyo Skytree broadcasting tower in Tokyo is the world’s tallest tower, defined as a structure where less than half the total height is usable floor space, according to Guinness World Records. The world’s tallest building is the 828-meter Burj Khalifa in Dubai, according to the Chicago-based Council on Tall Buildings and Urban Habitat. Population growth in the Osaka area has stalled in recent years. The Osaka-Kobe metropolitan area’s population is forecast to be 11.3 million next year, the same as in 2005, sliding four places to rank as the world’s 19th largest mega-city as it’s overtaken by Beijing, Manila, Cairo and Lagos, Nigeria, according to data compiled by the United Nations. In comparison, Tokyo’s metropolitan population is predicted to increase to 35.5 million, retaining its spot as the world’s largest mega-city, according to the U.N. The Osaka-Kobe area is still Asia’s third-biggest metropolitan economy, with a gross domestic product of $655 billion, according to figures compiled by the Brookings Institution in 2012. That’s larger than the gross domestic product of Switzerland, according to World Bank statistics. Tokyo is the biggest Asian metro economy at $1.52 trillion and Seoul-Incheon is second at $774 billion, according to Brookings. Tokyo’s dominance has contributed to high office vacancy rates in Osaka as companies are drawn to the capital. Mitsubishi UFJ Financial Group Inc., the nation’s largest bank, No. 2 Sumitomo Mitsui Financial Group Inc., and Resona Holdings Inc. all moved banking unit headquarters to Tokyo in the past decade after mergers and reorganizations. Nomura relocated its head office to the capital in 1946. Nippon Life is still based in Osaka, as are Panasonic Corp. and Sharp Corp.
“Tokyo is the headquarters center for an overwhelming number of companies,” said Daita Obata, an Osaka-based assistant manager at real estate brokerage Miki Shoji Corp.
Office vacancies in Osaka’s business districts were at 9.45 percent in February, the third-worst of Japan’s seven major cities as measured by Miki Shoji. Tokyo had the lowest rate, at 7.01 percent, according to the Tokyo-based company’s latest report. Japan’s dependence on commuting by train in major cities has ensured profits for rail operators, allowing them to finance large-scale infrastructure projects and enabling Kintetsu to build Abeno Harukas. Tobu Railway Co. completed Tokyo Skytree in 2012, financing the project itself. 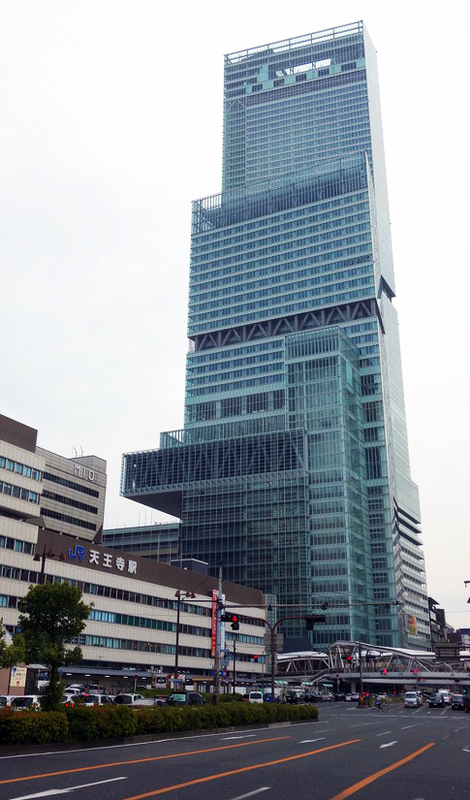 Last year, a new shopping and office complex opened in the north of Osaka next to the main station of West Japan Railway Co., featuring four new towers ranging from 33 to 48 stories and 557,000 sq. meters of space. 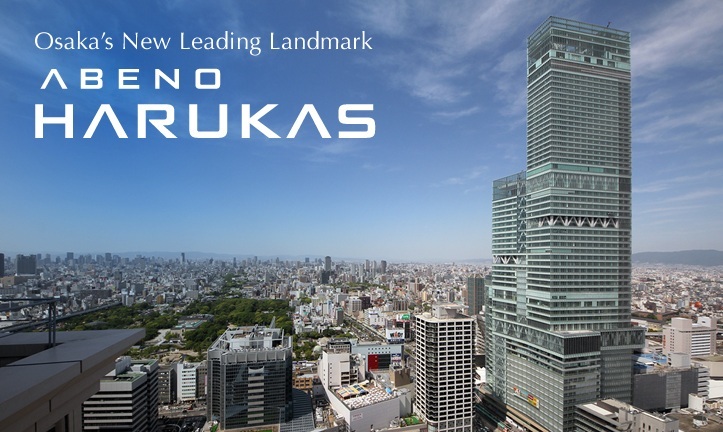 Osaka’s newest tower takes its name from Abeno, the area where it’s situated, and Harukas, an old Japanese expression that means to brighten or clear up, according to its website. The building’s exterior design was overseen by Cesar Pelli of Pelli Clarke Pelli architects in New Haven, Connecticut, who also designed the Petronas Towers in Kuala Lumpur. Osaka, which was Japan’s capital for a short time from 645, developed as a seaport and flourished as it traded with Southeast Asia, according to the local government’s website. Local officials are in talks with Caesars Entertainment Corp., Genting Singapore PLC and MGM Resorts International to build a gambling complex on reclaimed land in the city’s bay, Osaka Gov. Ichiro Matsui said in January. The area is also lobbying to become one of the government’s designated special economic zones, Jiji reported, citing Shosuke Mori, chairman of the Kansai Economic Federation. There will be a maximum of five zones in Japan, said Tatsuo Hatta, a member of the government council on the zones. Japan may make a decision on the locations this month, Abe said earlier this year.